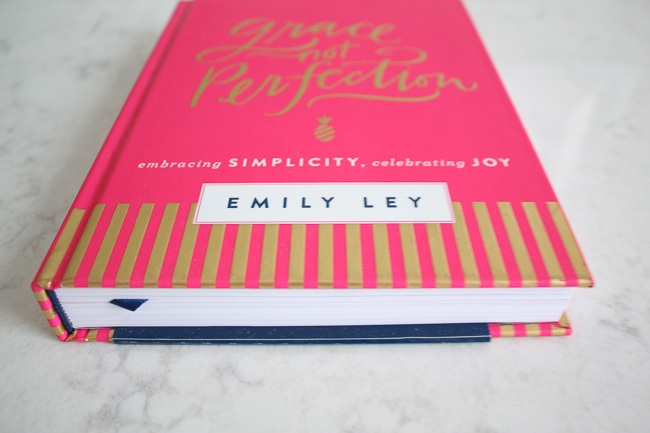 I was so excited when Emily Ley's book came out and I couldn't wait to get my hands on it. 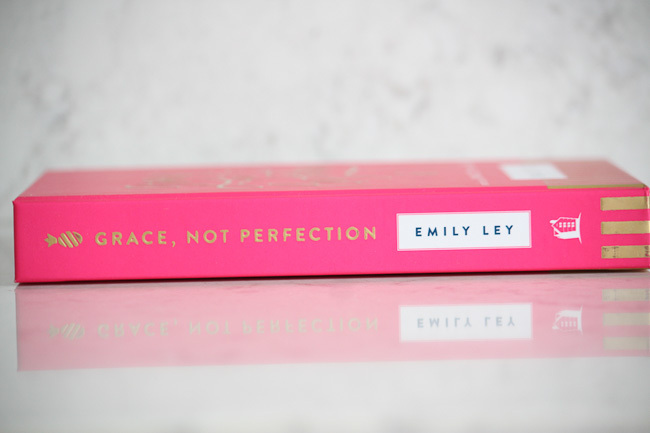 As you can tell from the title, her book focuses on this idea that we should not be holding ourselves to a standard of perfection. 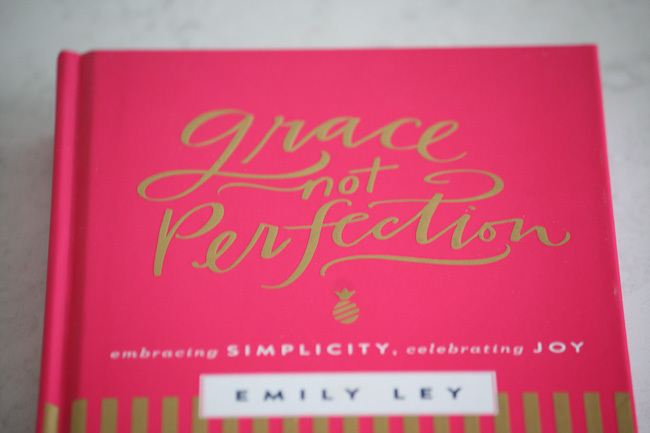 The message Emily conveys throughout her book is such an important one, and one that everyone should hear. 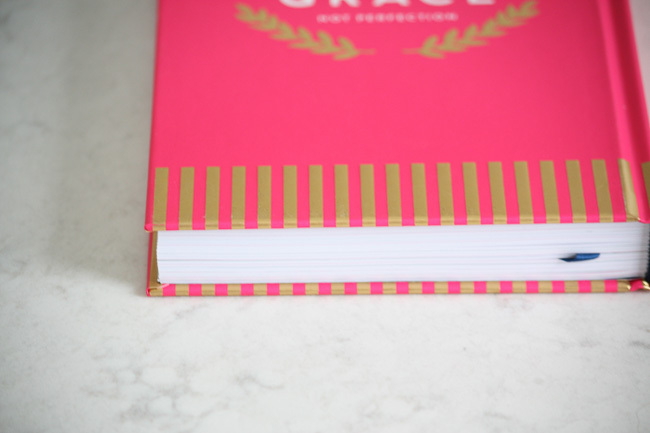 I want to gift this book to all the ladies in my life because her message is so vital! In this day and age, it is easy to get caught up in this idea that we have to do it all, be it all, and have it all, all while being perfect in any and all aspects of life. Gosh, just reading that sentence is exhausting let alone actually shooting for perfection in all we do, and yet many of us do just that. I'm not sure why we feel obliged to shoot for perfection - I'm sure there are a variety of reasons - but I feel a big one is this false perception that everyone else is leading a perfect life. This is of course far from the truth, and yet we believe it. But the truth is, there is no such thing as a perfect life. This is not to say that the life you live can't be the perfect life for you, but life in and of itself will just never be perfect for anyone. We need to remind ourselves this and stop holding ourselves and our lives to this unattainable standard of perfection. In all honesty there are so many other words I would prefer to use to describe life instead of perfect - beautiful, messy, fun, adventurous, graceful. 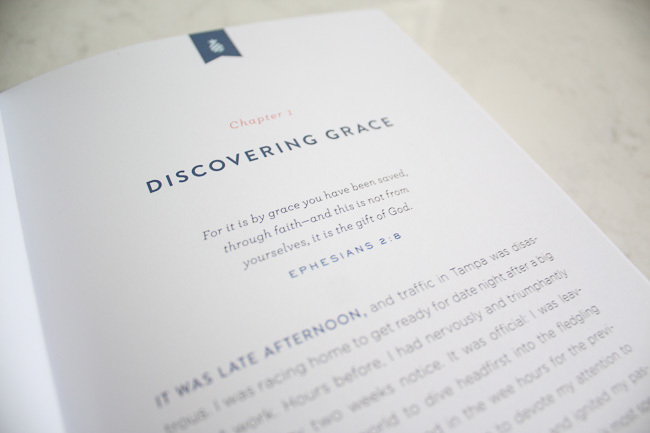 I urge you to go out and pick up a copy of Grace Not Perfection for yourself! 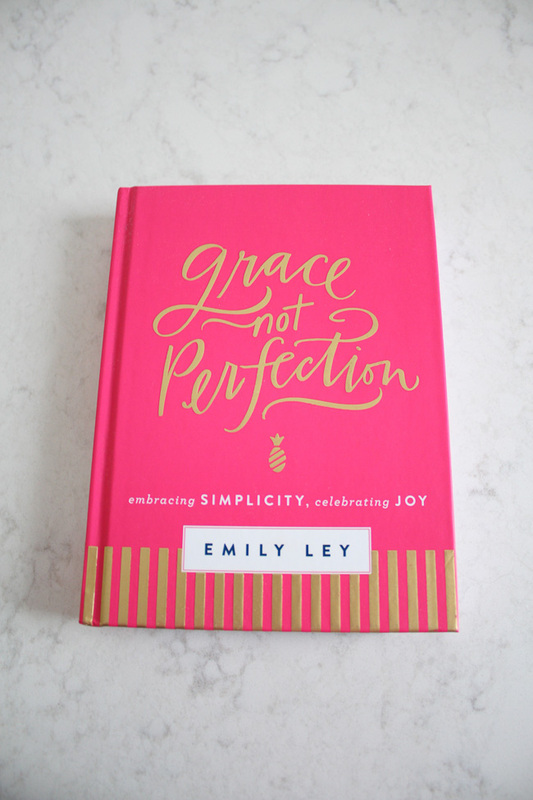 Emily Ley is so honest and inspiring in her debut book. 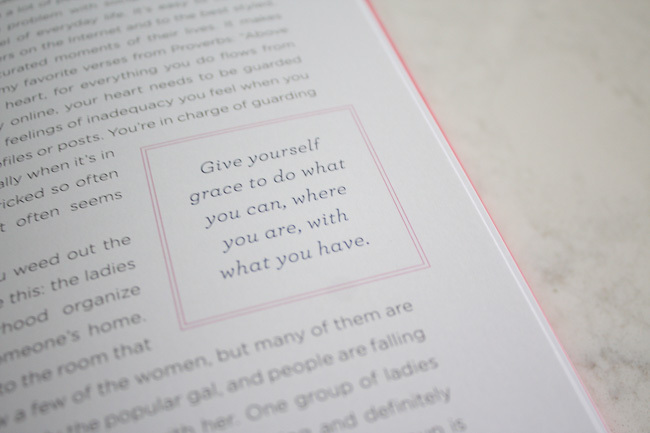 Read her words, soak it all up, and take her lessons into all aspects of your life. I promise you won't regret it! 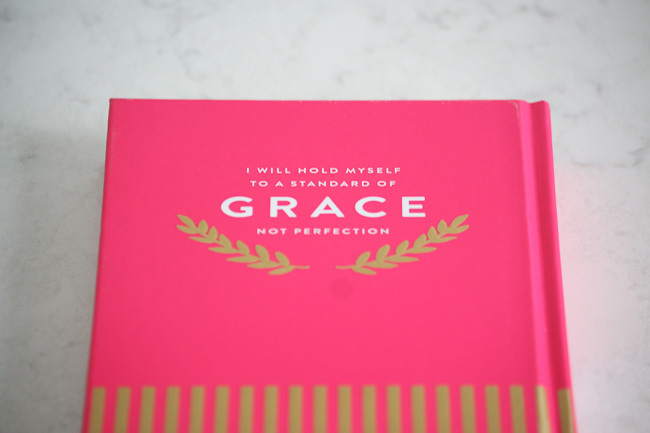 And please promise me that you will hold yourself to a standard of grace not perfection.